Artist Jennevieve Schlemmer in studio. Photo by Jason Ganwich. Will you be hosting an arts event in November? Do you want to contribute to the arts programming offered in Tacoma, build community, and benefit from free publicity? Submit your arts activity for inclusion in the 2013 Art at Work: Tacoma Arts Month online calendar! The Tacoma Arts Commission is seeking submissions of arts activities happening during our twelfth annual Art at Work: Tacoma Arts Month this November. We are looking for a variety of activities spanning all categories of art and culture including but not limited to music, visual art, literary art, dance, theater, and film. If you will be hosting an exhibition, performance, class, workshop, reception, lecture, tour, artists’ market, celebration, meeting, presentation, or any other programming, let us know. We will list your arts event in an interactive and searchable online calendar of events on www.ArtAtWorkTacoma.com. There is no cost to you. We will be promoting the many events going on throughout the month through newspaper and magazine advertisements and articles, email newsletters, television ads, radio ads, and through a variety of social media outlets. Deadline for submissions is September 15, 2013. To qualify, your arts activity must be located within the City of Tacoma limits and occur during the month of November. 1. Fill out the Online Art at Work Activity Submission form. Note: If you are submitting multiple events, please fill out a form for each event. 2. (optional) Email a digital photograph to be used for promoting this event. Image must be at least 150 ppi. Email digital images to tacoma.submissions@cityoftacoma.org. Please put “Activities_Your Event Name” in the subject line. Questions? Contact Naomi at nstrom-avila@cityoftacoma.org or by calling (253) 591-5191. 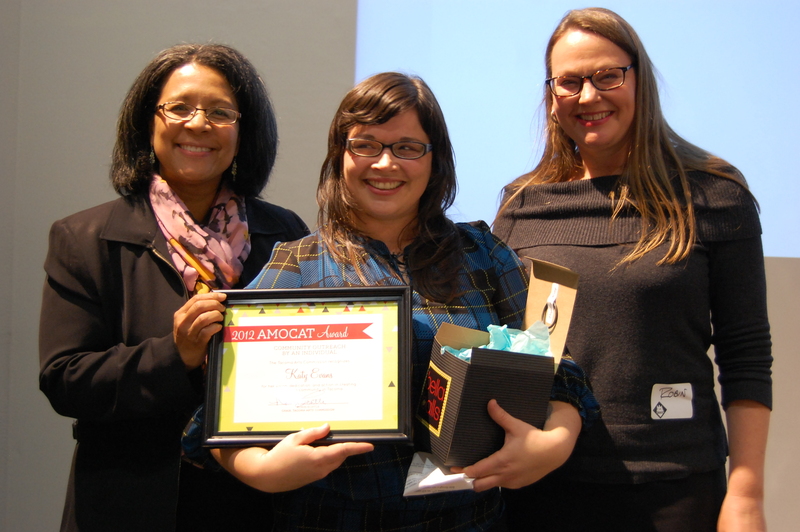 The Tacoma Arts Commission is currently accepting nominations for the 2013 AMOCAT Arts Awards. Since 2004, the AMOCAT Arts Awards recognize those in our community who provide distinctive contributions to the arts. The honorees work hard to support and build our community by innovating in artistic excellence. 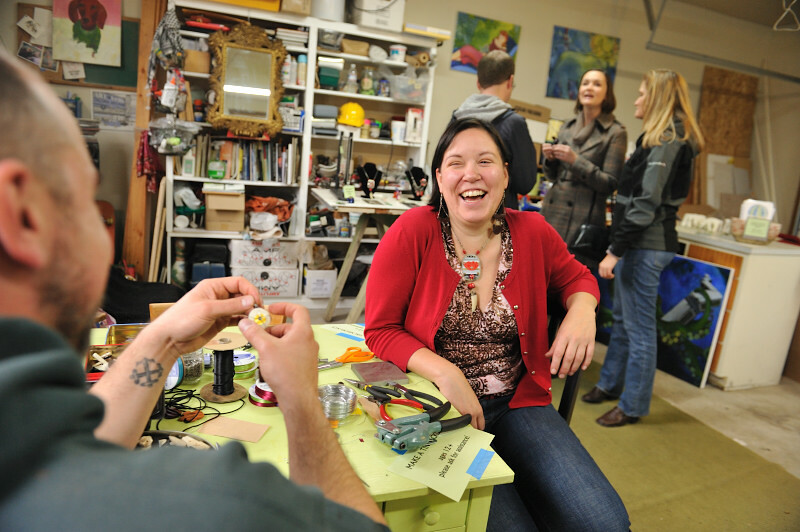 Each exhibits vision, dedication, and action in creating a lively arts community in Tacoma. To make a nomination, simply fill out the online nomination form. Nominations are due by August 30, 2013. The Tacoma Arts Commission will review all nominations and select one finalist in each award category based on the breadth and depth of the nominee’s community impact as well as the quality of the work being done by the nominee, not by the number of times the nominee was nominated. Mayor Strickland will present the 2013 AMOCAT Arts Awards at the Art at Work Month Opening Party in late October. In the category of Community Outreach by an Individual, past winners include: Lynn Di Nino, Jared Pappas-Kelley & Michael S. Lent, Laura and Matt Eklund, Lance Kagey & Tom Llewellyn, Linda Danforth, William Kupinse, Oliver Doriss, Stella Haioulani, and Katy Evans. In the category of Community Outreach by an Organization, past winners include: Tacoma Art Museum & Museum of Glass Education Programs, Arts Impact, Tacoma School of the Arts, Barefoot Studios, Victory Music, King’s Books, Hilltop Artists, Fab-5, D.A.S.H. Center for the Arts, and The Grand Cinema. In the category of Arts Patron, past winners include: Sound Transit Art Program, Pierce Transit, 6th Avenue Business District, The Weekly Volcano, Hotel Murano, City Arts, Urban Grace Church, The Greater Tacoma Community Foundation, and Key Bank. Information about the AMOCAT Arts Awards can be found on the Arts Program website. Tons of talent has bloomed from the past LIFE summer series. The quality of education in the arts coming out of this program is impressive. From community murals, to break dance performances, radio shows, fundraisers, and food drives, students from this program have taken their work out into the community and truly made a mark on this town. The program is free and open to all youth. Starting at 11am sharp, each summer saturday, workshops run for three hours and include hands-on instruction and discussion with healthy snacks provided. 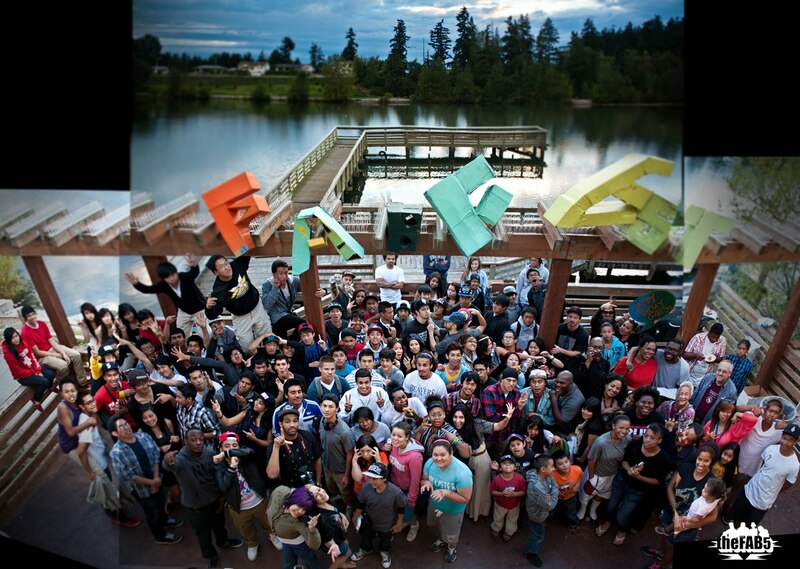 All workshops take place at FABITAT located at 1316 MLK Way, Tacoma, WA 98405. Click here to register.